Bugs flood to new hotel! 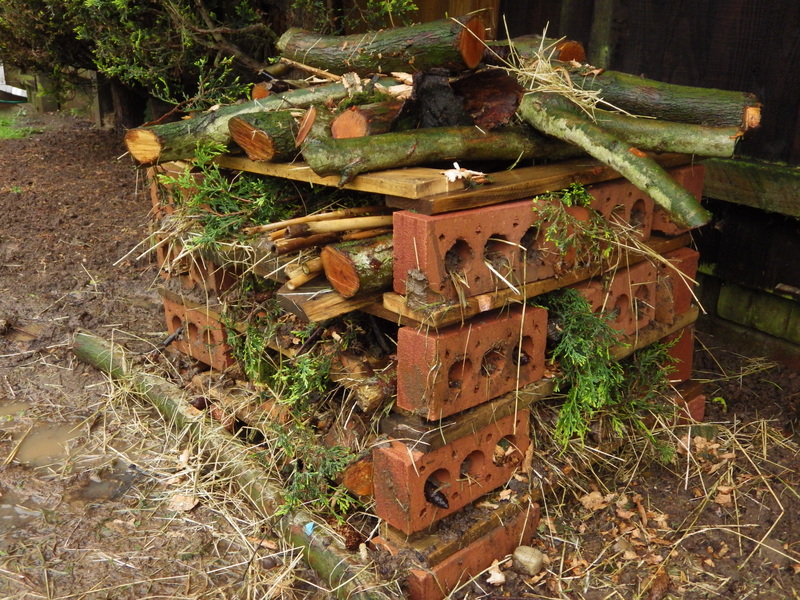 Today I created a new feature for my garden, a bug hotel. The bug hotel which I built, with the help of my younger brother, consists of four floors. On the top of the new garden feature I have a small log pile then on every story there are different materials which were naturally sourced from either my garden or my local woods. It was extremely fun and easy to construct, even though it was chucking it down with rain and we both got totally soaked! 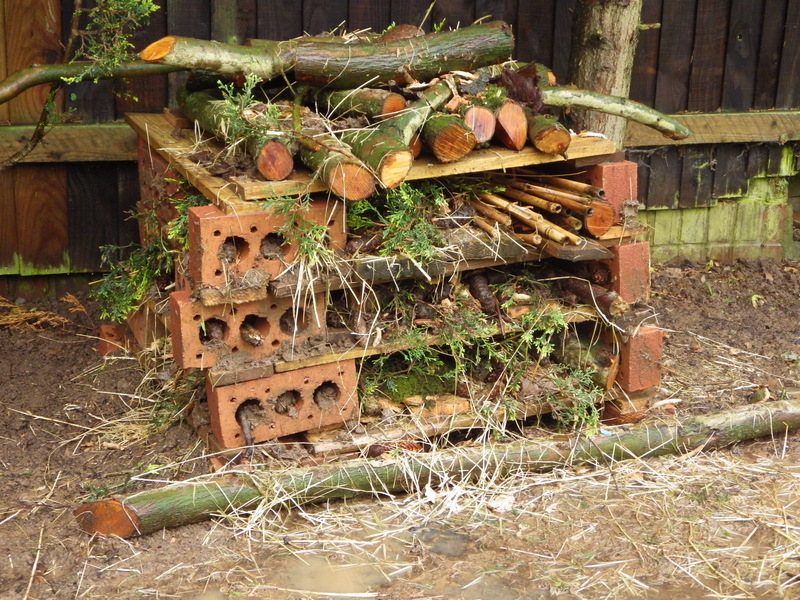 The different materials which I used in my bug hotel were bamboo sticks, bricks, planks of wood, broken plant pots, stones and rocks, hay, bark, twigs, logs, moss, tree cuttings, pine cones and mud! To start off we stacked planks of wood and bricks up together then on the top I piled some logs up. Then with all the different materials that I had, I gradually filled every level bit by bit. 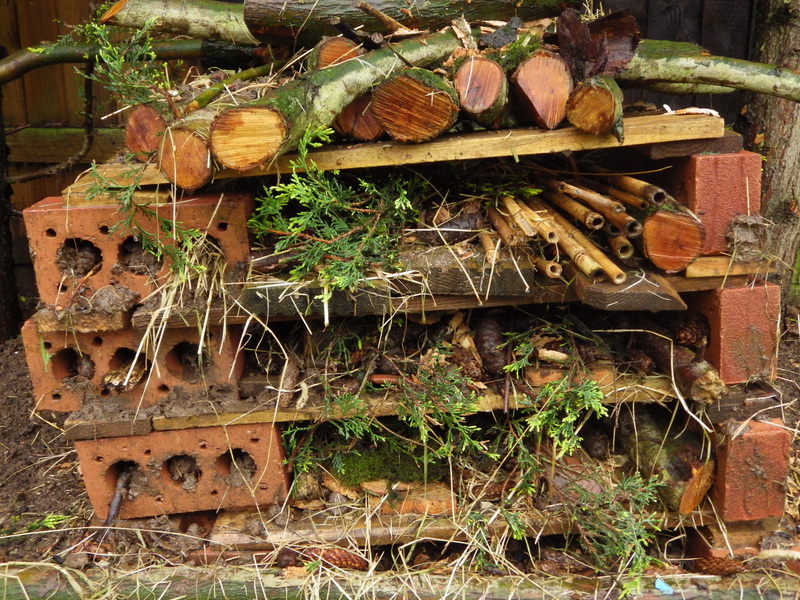 In my new bug hotel I hope to attract a great variety of different creepy crawly’s and perhaps some small rodents. Previous PostNew garden resident.Next PostGuest blog post – Magpies. That looks interesting. Will you keep us posted on developments? Great idea. Hope the guests start arriving soon!